It’s taken so long to saunter into the App Store that we suspect some iPad users were starting to take it personally, but the official Facebook app is now finally ready for downloading. Facebook’s shiny new iOS app supports the iPhone and iPod touch as well as the iPad, and comes with all the goodies you’d expect, in the shape of high-resolution photo support, tap, slide and pinch gesture support and Facebook game compatibility. Update: it’s a buggy beast! The BBC is reporting that users are reporting all manner of bugs and annoyances in the new app. 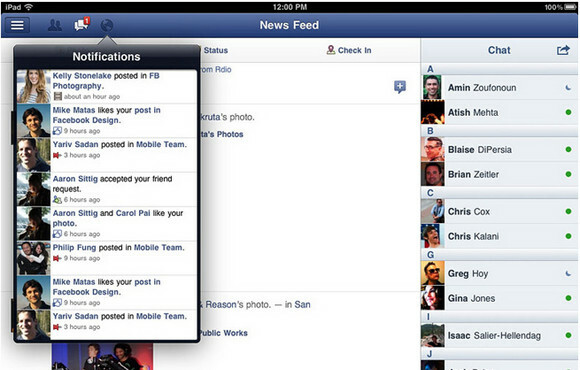 Today, Facebook announced their first app for the iPad. Facebook for iPad not only includes popular features from the site like photos and games, but also optimizes them for the unique capabilities of the iPad. Facebook for iPad is available today in the Apple App Store and additional information can be found in the blog post attached. Additionally Facebook announced they are extending the Facebook Platform to mobile including the new iPad app, iPhone/iPod app and mobile web site. The Facebook Platform will allow mobile developers to take advantage of social channels for search of discovery of their apps and also the Facebook Credits payment system. Additional details about the Facebook Platform on mobile can be found in the second blog post attached as well.